New Teacher training will take place on September 10, 2018. All paperwork due in Scienteer by Friday, February 8, 2019. GEARSEF Junior Division will take place on March 6, 2019 (tentatively). GEARSEF Senior Division will take place on March 7, 2019 (tentatively). GEARSEF is a regional affiliate fair of the Intel International Science and Engineering Fair (Intel ISEF), the world's largest international pre-college science competition. The Greater East Alabama Regional Science & Engineering Fair (GEARSEF) is open to all students in grades 6-12 who have advanced from their local science fair (school, county, district, or community fair) and reside within the following Alabama counties: Autauga, Barbour, Bullock, Butler, Chambers, Coffee, Crenshaw, Dale, Elmore, Geneva, Henry, Houston, Lee, Lowndes, Macon, Montgomery, Pike, Russell, and Tallapoosa. Students can be enrolled in public or private schools in the region or affiliated with a home school cover school. Students in grades 6-8 are entered in the "Junior Division" of GEARSEF while students grades 9-12 are considered part of the "Senior Division." It is recommended that students present their projects at a school or county science fair and only advance to GEARSEF if they were in the top 25% of those participating in the fair. 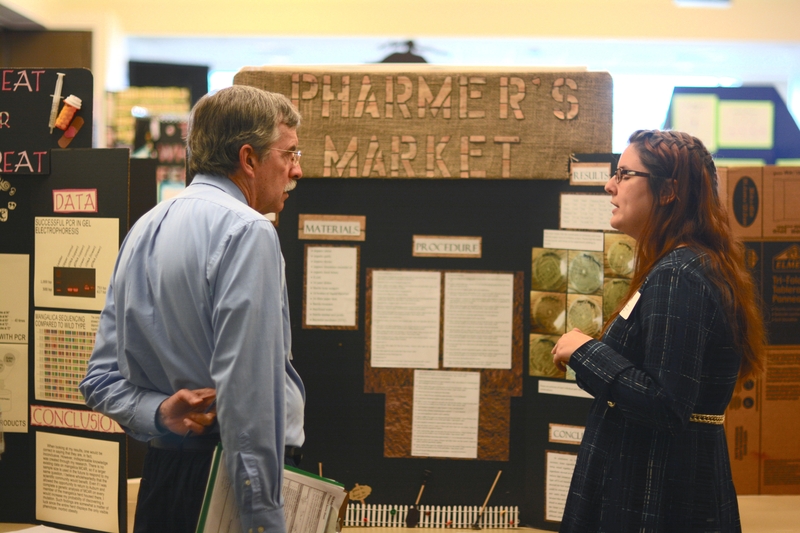 For students already participating in a school or county science fair, Auburn University's Regional Fair is the next step forward for those winning projects. If the school district or county you reside in does not have its own fair, Auburn's Regional Fair can serve as the first competition site for top student projects pending pre-approval from the GEARSEF Science Fair Director. The cost is $20.00 per project. Up to 3 students may participate on the same project. How do I register my school? My project? All schools and students should register for an account in the "Scienteer" science fair paperwork system as early as possible in the Fall semester in order to have time to fill out their digital paperwork and the necessary project pre-approvals. Please also affiliate your fair with GEARSEF using this form to reserve project slots for your fair at the GEARSEF competition (space is limited!). The completed student project information will be due to GEARSEF in the Scienteer system by February 5th. However, please note that most science fair paper work should be completed before students begin their projects long ahead of the February 5th deadline so as to comply with the official ISEF rules. The February deadline is in place to allow GEARSEF time to review advancing project paperwork and coordinate fair logistics. What is Scienteer, and how do I get my account set up? GEARSEF uses a paperless system called " Scienteer" to fill out all student science fair paperwork and manage registrations for its fair system. Scienteer helps ensure students adhere to the appropriate ISEF rules and regulations and complete all ISEF forms. It includes everything needed for student paperwork, teacher review, and advancing students to GEARSEF. If you're new to GEARSEF, we typically offer a new-teacher workshop in the early Fall which overviews Scienteer and how to participate in GEARSEF. If you're unable to make the new teacher workshop, we host a number of resources and tutorials on Scienteer here. Regardless, if you're new to GEARSEF or Scienteer please don't hesitate to contact Janie Marino for further assistance! Home-school students and students whose school does not hold a science fair may still be eligible to compete in GEARSEF, though the student will need to find the necessary sponsors to approve his or her paperwork. If this is your case and you would still like to participate, contact Janie Marino (see contact info below) for details.